Today, we will enjoy an excursion from Interlaken to Jungfraujoch - Top of Europe, which hosts the highest railway station in Europe; is served by the Jungfrau Railways, recognized by UNESCO as a railway engineering marvel; and is a UNESCO World Heritage Region. Board a train from Interlaken Ost to the Kleine Scheidegg, at the foot of the famous Eiger North Wall. At to the Kleine Scheidegg, you can board the railway engineering marvel - Jungfrau Railway, which connects you to Jungfraujoch - at 3454 m/11'333 ft, the highest railway station in Europe. Overnight in Interlaken. Today, we will depart from Interlaken and make our way to our next stop - Lucerne. After breakfast, check-out from the hotel and proceed to the railway station to board the Burning Express from Interlaken to Lucerne (panoramic seats in 1st Class only). This will be one very scenic rail journey. On arrival at Luzern, proceed to hotel for check-in. Overnight in Lucerne. 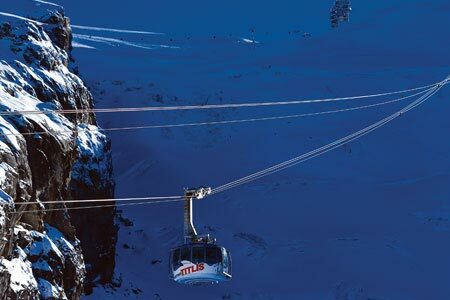 Today, we will enjoy an excursion to Mount Titlis, the highest vantage point of Central Switzerland towering at 3020 m / 10'000 ft. From Luzern, board the train to the mountain monastery village Engelberg where you board a gondola which takes you up to the Trübsee; continue your trip by another gondola to Stand and finally board the world's first revolving cable car - Titlis Rotair to Mount Titlis. 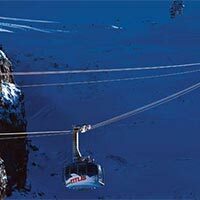 For a spectacular, close-up insight into a glacier, visit the Glacier Cave and ride the Ice Flyer Chairlift. Overnight in Lucerne. Today is the last day of our tour and the day of departure for our home country; return to Swiss Border or Airport or continue your stay in Switzerland at your own request.